The Battle of Vaslui (sometimes called Podul Inalt) was fought between the Moldavian army of the Voivode (Prince) Stefan the Great and the invading Ottoman forces commanded by Suleyman Pasha on 10 January 1475. Vaslui is south of Iasi (pronounced ‘yash’) the former capital of Moldavia in current day Romania. 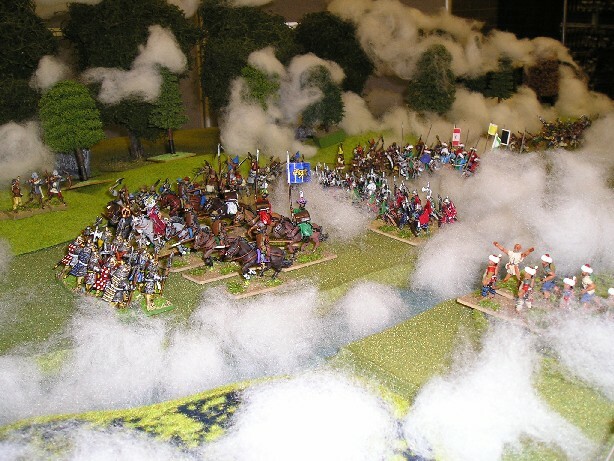 This demonstration game attempts to refight what we know of this battle using the Warhammer Ancient Battles (WAB) rules and 28mm figures. In the late 15th century the Romanian principalities of Moldavia and Wallachia struggled to maintain their independence from the powerful Christian states of Hungary and Poland to the north and the advancing Ottoman Turks from the south. Not to mention marauding Tartars from the east. Since defeating the Hungarians at Baia in 1467, Stefan the Great had concentrated his efforts on dealing with the Turkish threat. The early 1470s had been marked by a series of invasions, raids and border conflicts with Wallachia in order to impose there a ruler loyal to the anti-Ottoman cause. Radu the Handsome had finally been removed in 1474 and replaced with the seemingly loyal Basarab Laiota. However, Laiota promptly switched sides when confronted with the power of the Sultan. Mehmed the Conqueror gave Stefan an ultimatum to come to Istanbul with the tribute he was due for the last five years and yield the fortresses of Chilia and Akerman at the Black Sea. Hoping for help from the West, Stefan refused, and Mehmed ordered Suleyman Pasha, Beylerbey of Rumelia to advance on Moldavia. The Ottoman army, gathered at Sofia in September 1474, was joined by a Wallachian contingent under Basarab Laiota, and crossed the Danube into Moldavia in December. Advancing northwards in heavy winter weather, Suleyman found the country laid waste in front of him and was constantly harassed. After he reached Barlad (deserted as well), intelligence told him of villages still standing to the east. So he headed for Vaslui, which was exactly what Stefan had planned when he had chosen the site of the battle. The Ottoman army was very large, possibly 137,000 strong, although these claims should be treated with caution given the problems of supplying such a force in winter. No more than 50,000 would be engaged in this battle. The vanguard included irregular light cavalry known as Akinci who would scout ahead. The main body had a solid core of infantry, mostly vassals from the Balkans and the famous Janissaries. 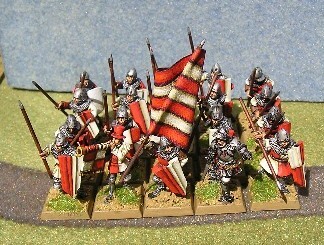 These would be supported by armoured cavalry sipahis. 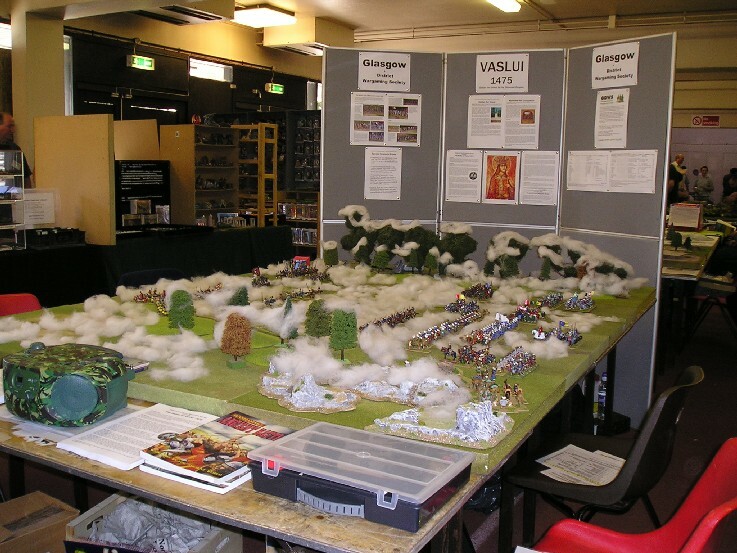 For more details of the Ottoman army see the display boards. The Moldavian army consisted of two groups. The Small Host comprising of the nobility (Viteji, Curteni and Boieri), professional foot soldiers (Lefegii), light horse (Calarasi) and some artillery. The Large Host consisted of every able bodied man and was called out in times of invasion. Due to the frequency of both raids and invasions these could include experienced troops. The largest group were the Pedestrasi footmen and Arcasi archers supported by Razesi foot (direct small landowners of the crown) and Plaiesi who guarded the passes and specialised in ambush. It was probably no more than 35,000 strong, smaller than the Ottoman forces but with vital home advantage. The site of the battle is south of the village of Vaslui (today a provincial town) on the River Barlad. The road and river wind up a fairly wide valley with hills on either side. 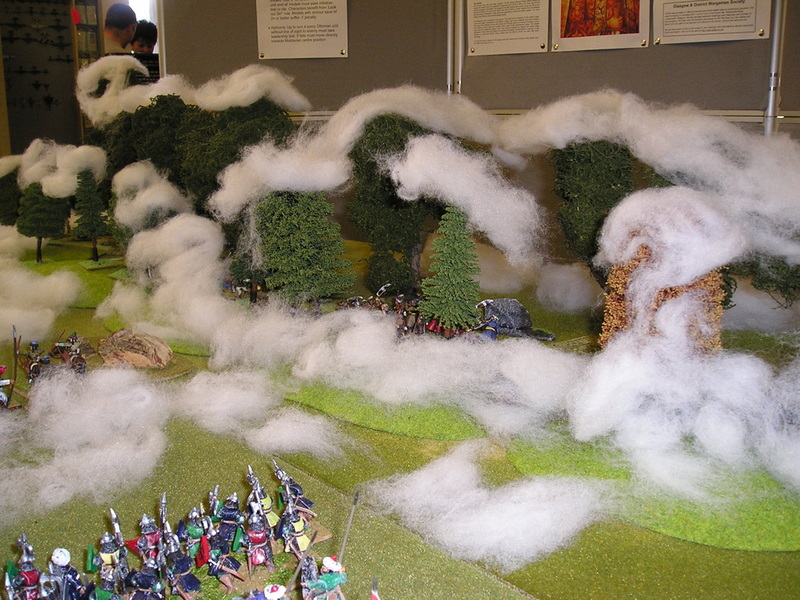 The battlefield is covered with forest and marsh and the river is partly frozen. A dense fog hangs over parts of the area, particularly the river. The scenario has special rules to cover crossing the river and visibility. The Moldavian army used horns (known as Alphorns) to attract the Ottomans to the centre of their line. Stefan positioned his troops in three battles. The Centre was held by the Boieri and the Lefegii, troops on whom he could count on in resisting the initial shock of the Ottoman onslaught and who had orders to slowly retreat fighting. On the hills to the West he placed his Right Wing, consisting of some artillery and a few mercenaries (including Transylvanian handgunners). Concealed behind the hills to the East, he placed the bulk of his troops, “the Large Host”. He and his closest companions took position behind the Centre, on the Eastern hills. The Turks were still in marching order when the Vanguard heard the sound of the alphorns. 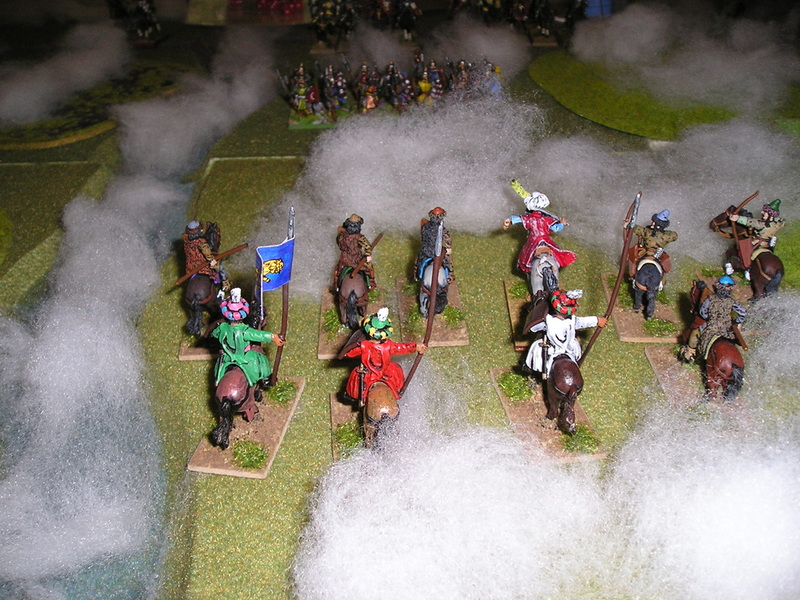 Moldavian skirmishers were quickly pushed back along the valley, towards the Moldavian Centre. The Turkish army did not assume battle formation and lacked the space to deploy in width. The Vanguard hurled itself at the Moldavian position, coming under heavy fire, and fierce hand-to-hand combat followed. Strengthened by the bulk of the Turkish column, the Ottoman Vanguard gained ground and even managed to make a breach in the Moldavian line. At this moment, the bulk of the Moldavian Large Host charges the Turks (still deployed roughly in column and packed between the river, and the woods) in the flank, from the East, causing great confusion, amplified by the fog. Suleyman, himself at the back of the column, failed to restore order. Sensing the moment, Stefan launched himself at the head of his companions in a furious charge against the Turkish front. Pinned from the North and flanked and hammered from the east, the Ottoman line crumbled, being driven into the Barlad river or into the rest of the Ottoman troops, bringing them too in disarray. The pursuit lasted several days, until the remnants of the Ottoman army crossed the Danube at Oblucita into Dobrudja. This battle is being refought using the Warhammer Ancient Battle (WAB) rules. 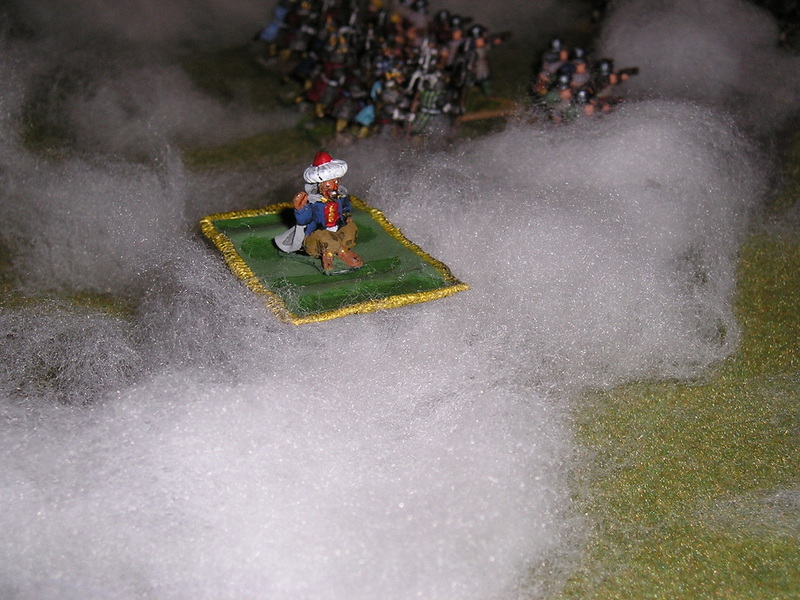 The 28mm figures are from the collections of members of Glasgow & District Wargaming Society. 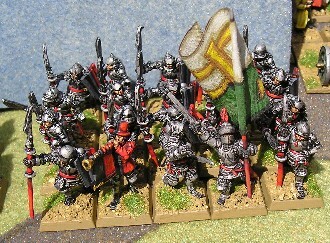 They include figures from a number of figure manufacturers including Old Glory, Redoubt, Essex and Gripping Beast. Osprey MAA 195 and 140 give further details of the armies and their dress as does Armies of the Middle Ages (2) by Ian Heath. For a more detailed overview of the period try ‘Mehmed the Conqueror and his Time’ by Franz Babinger. Also watch out for the forthcoming WAB supplement ‘Vlad the Impaler & The Ottoman Wars in Europe’. OK stretching the historical, but we liked it!